If someone reports a crime, or otherwise has knowledge or information about a crime, they will give an account of what they know to the police. An officer will take a note of what has been said and these notes will be added to any other evidence that they have gathered about the case. With some less serious crimes, or crimes that are never solved, this may be the end of the witness’s involvement in the case. If a witness is required to give evidence in a trial they will be contacted at a later date by the police. If a crime is likely to lead to a trial, witnesses will be asked to give a formal statement to the police. This will involve giving a full account of the witness’s knowledge of the incident. The statement will be given to a police officer who is trained to ask questions that ensure that all the necessary information is provided. Everything that the witness says will be written down - or the conversation may be video-recorded. The witness then has the chance to read over anything that has been written. It is vital that the witness makes sure that the written statement is an accurate reflection of what they know about the case. The statement will then be signed by the witness to confirm that it is true. This statement forms part of the evidence in any subsequent trial. Depending on what the witness has said, and whether any other witnesses can give similar information, the statement could be read out during the trial by a lawyer or the witness could be requested to attend court to give their evidence in person. Whether there is enough evidence to secure a conviction. If the answer to both of these questions is yes the trial process will begin. There could be a gap of many months, or even years, between a witness giving a statement to the police and that witness being asked to give their evidence at a trial. If a witness is required to give their evidence at a trial they will be offered support to ensure that a potentially frightening and confusing experience runs as smoothly as possible. Once it has been decided that a witness is a necessary part of the prosecution they will be referred to a local Witness Care Unit. These Units provide support and information to anyone who becomes involved in a trial as a witness. Once the case begins the Witness Service guides witnesses through the court process. Expert witnesses – their professional experience and qualifications may enable them to give an opinion which supports or challenges other evidence in the trial. Expert witnesses are the only types of witness who can give their opinion rather than just a statement of the facts as they saw or know them to be. Character witnesses. Often these have no knowledge of the alleged crime itself but do know one of the parties involved. 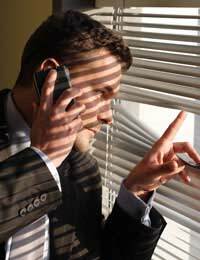 A defendant will often call character witnesses to help the jury see them in a better light. How ever much a witness knows – or thinks they know – about a crime their participation in the trial may be vital to justice being done.